MUST DO: Visit the Paleontology Exhibit at the Qualicum Beach Museum; Walk the beach! Miles of beaches are what you’ll find in Qualicum Beach, a village of 7,000 just a half-hour drive north of Nanaimo. The sandy beaches make this stretch of Vancouver Island one of the most popular for sunbathing, swimming and beachcombing. Off in the distance, the mainland mountains jut into the wide-open sky. A favourite of visitors is a leisurely bike ride along the waterfront. A section of the waterfront is a national wildlife area, a great place to view seabirds, mainly the Brant goose. Qualicum, along with nearby Parksville, annually hosts the Brant Festival in April to celebrate the arrival of thousands of Brant geese. Bird watching, art and photography exhibits, films, guest speakers and nature activities highlight this recently-founded festival. Long a native settlement, it wasn’t until the mid-1860s that Dr. Robert Brown, leader of the Vancouver Island Exploring Expedition, explored the area. It would be another decade before Europeans began slowly moving in, settling along the Qualicum River, French Creek and the Little Qualicum River. Near the turn of the century the road from Parksville was extended and talk of pushing the Esquimalt and Nanaimo Railway (the E&N) north to Courtenay spurred interest in the Qualicum Beach area. By 1914, the railway reached Courtenay and the Qualicum Beach region saw an influx of both settlers and land speculators. A favorite spot for retirees, Qualicum Beach is a golfer’s paradise, offering five incredible courses. If the clubs aren’t hot, there are a number of other things to do in the region. 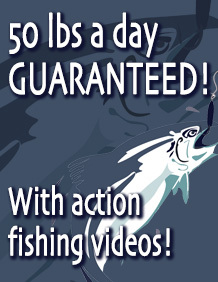 Offshore, there’s great salmon, halibut and cod fishing. Nearby lakes and rivers offer great chances to land a trout. The Little Qualicum River, where you can visit a fish hatchery, is popular for winter steelhead fishing while cutthroat fishing is great from late August to spring. The Qualicum River is also good for winter steelhead and cutthroat. For hiking enthusiasts, Little Qualicum Falls Provincial Park (go west on Hwy. 4), offers some great trails. Or hop onto the ferry to nearby Lasqueti Island. For the truly adventurous, nearby Horne Lake Caves Provincial Park attracts cavers for a day of spelunking with experienced guides. Or rent some equipment for self-guided tours of two of the caves. To get to the caves, go north on the Island Hwy. to Qualicum. Turn west on the Horne Lake Caves Road. History – really old history – can be found in the Paleontology Museum, featuring fossils from all over British Columbia. More recent history can be found in the Old Power House Museum. 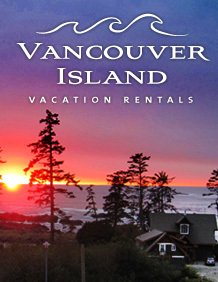 Accommodations in Qualicum Beach range from campgrounds and RV parks to waterfront resorts and cottages. BY ROAD: From the south, Qualicum Beach is about a half-hour drive north of Nanaimo on the Island Hwy. From the north, take the Island Highway south to Mud Bay, where you can connect to the Inland island Highway. BY AIR: Scheduled airline connections are out of Vancouver to Nanaimo and Victoria.